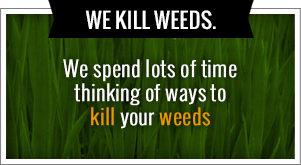 Over the years Green Leaf has been known to specialize in weed control, lawncare and landscaping. We make sure that your lawn is looking absolutely fabulous during the spring, the summer and the fall. What about the holidays? Here at Green Leaf we switch our landscaper hats out for holiday hats. We provide quality Tulsa holiday light installers and professionals for homeowners all across the city. We take an ordinary house and turn into an ideal Winter Wonderland. We don’t want you to overstress this Christmas by going through an unforgiving tangled mess of holiday lights. Choose the number one for light installers here at Green Leaf. Call today at 918-437-0300 or visit us online. Looking forward to hanging up lights this year? Most people look sick when we ask this question. The thought of climbing through storage, finding the lights, untangling the mess and climbing on the ladder does not appeal to most people. They would rather fight the Mall crowd than get up on their roof and make sure the Christmas lights are straight. That’s where Green Leaf comes in. We provide you with the lighting technician service professionals who can hang up the lights, climb the ladder and make sure that you don’t have to do any of the work. Whether it’s for a holiday event, a company party or your home in the neighborhood, we take care of everything from start to finish. What do we do? We arrive on-site to give you a free home estimate for lighting. We also take measurements and offer suggestions that are sure to make your house the talk of the town! Our goal is to give you the best quality service and make certain that your Christmas lighting home is everything you ever wanted and more. This gives you the time to do the things that you want and need to get done when December rolls around. Choose the Tulsa holiday lights company that meets your needs the best. Choose Green Leaf in Tulsa by calling today! Planning that holiday party? Call Green Leaf! We can connect you with the best and most professional party and lighting experts. We are ready to make sure that your event sparkles and its a holiday party for the books. Holiday party for you home or your company makes no difference to us! We make it a smashing success. Call for your free estimate today or visit online to find out more. We want to make sure that whether it’s a holiday home party or a company party that it’s absolutely brilliant and extraordinary. 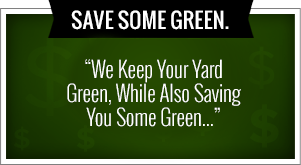 Call Green Leaf today or simply visit us online. We want to make sure that we hang up the lights for you and eliminate all that holiday stress. You can take hanging up the lights off in your to do list and have time to find that ideal tree before your in-laws come in for the holidays. We make things easier and we save you time with our professional light installers. Call us today for more information about our free home estimate and how we can help you create the perfect holiday atmosphere for your home or for your business. Green Leaf in Tulsa is known throughout the city has the number one in weed control, lawn care, landscaping and other ways to provide quality lawns for homeowners all across the city. The during the holidays it’s a completely different story. We put away our lawnmowers, our weed whackers and we stick on our holiday hats. We are ready to do all the work for you when it comes to hanging up lights and Tulsa light installation. We want to take away the stress of the holidays by allowing you to mark something off your list without having to go through your attic and searching endlessly for that box of tangled Christmas lights. Call us today to find out more at 918 – 437 – 0333. The holidays are absolutely crazy. It’s true that Christmas is the most wonderful time of the year but it’s also the most busy. People are frantically driving around trying to find that last gift, that ideal Christmas tree and book that hotel for their in-laws who suddenly change their mind about coming down for Christmas this year. There are so many things to take care of and the last thing you want to do is untangle a wad of Christmas lights that you are not even sure still work. Why not save yourself the hassle and hand it over to the Tulsa holiday light installers here at Green Leaf? What do we do? We do all the work for you. We arrive on-site at your home and we give you a free estimate on what it’s going to cost. We also offer suggestions on how we can make it the most ideal Winter Wonderland home on the block. We want to make sure that whatever Christmas vision that you have it’ll come to pass through our professional service and our lighting technicians. You don’t have to climb on a ladder, you don’t have to untangle lights and you don’t have to make sure that their straight. From start to finish Green Leaf will handle everything for you. Are you planning a holiday party this year? No worries! We do everything we can to make sure that this holiday party is a smashing success. We take care of the lights and we can even connect you to with the expert party and lighting professionals that you been searching for. These partners have great ideas about how to make your special event sparkle and how to make this the best holiday party that anyone has ever gone to. Whether it’s in your home or a holiday party, we take care of the lighting so you don’t have to. So if you’re ready to completely eliminate the stress this holiday season give Green Leaf a call today. We are ready to put together an excellent quote for you and make sure to stay within your holiday budget. With all the other things you have to do why not let the holiday light experts here in Tulsa take care of everything from the beginning all the way to the end. Don’t stress over this Christmas and let the contractor do the work for you here at Green Leaf. Happy Holidays!